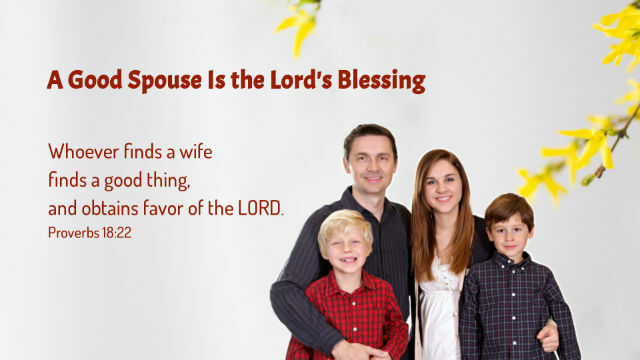 Whoever finds a wife finds a good thing, and obtains favor of the LORD. This verse shows us that whoever finds a good wife or husband obtains God’s grace and blessing. Every person wants such a happy marriage. But whether or not we can obtain is not a matter of individual choice. 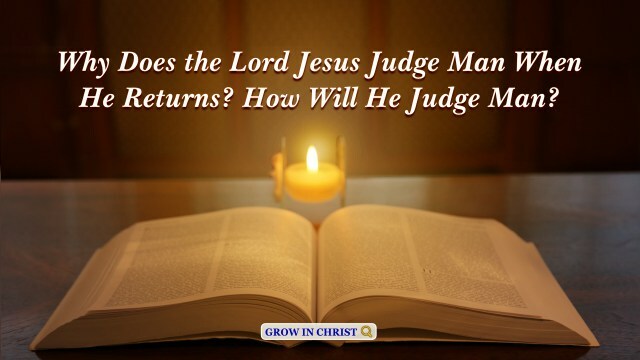 It depends on God’s ordination and His sovereignty. God says, “Marriage is a key event in any person’s life; it is the time when one starts truly to assume various kinds of responsibilities, begins gradually to fulfill various kinds of missions. People harbor many illusions about marriage before they experience it themselves, and all these illusions are beautiful. Women imagine that their other halves will be Prince Charming, and men imagine that they will marry Snow White. These fantasies go to show that every person has certain requirements for marriage, their own set of demands and standards. Though in this evil age people are constantly bombarded with distorted messages about marriage, which create even more additional requirements and give people all sorts of baggage and strange attitudes, any person who has experienced marriage knows that no matter how one understands it, no matter what one’s attitude toward it is, marriage is not a matter of individual choice.” God’s words clearly tell us: Every person’s marriage is predestined by God and not a matter of individual choice. So we should come before God, entrust our other halves to Him, and obey His sovereignty and arrangements, for the other halves God arranges are perfect and blessed by Him. Today’s Bible verse is Mark 9:23. 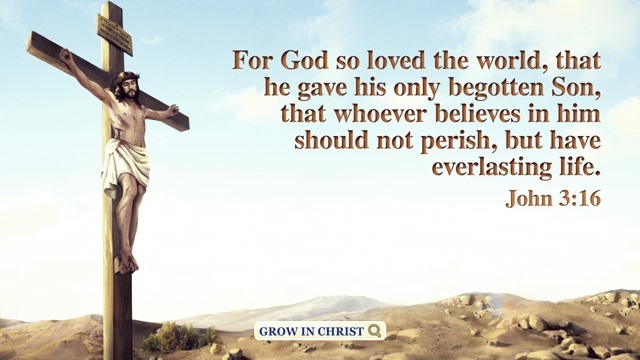 This verse tells us all thins are possible if you believe. You can get the solution in everything if you have faith in God. Be careful for nothing; but in every thing by prayer and supplication with thanksgiving let your requests be made known to God. 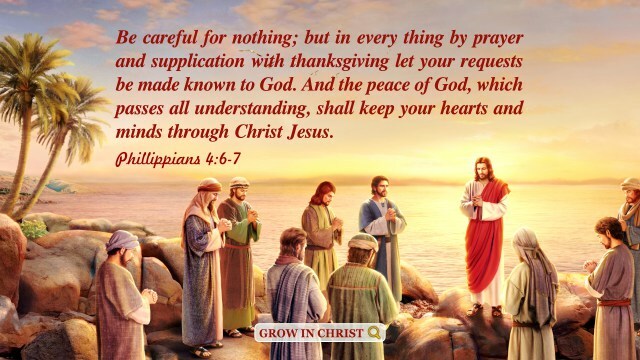 And the peace of God, which passes all understanding, shall keep your hearts and minds through Christ Jesus. – Philippians 4:6-7 Thoughts on Today’s Verse… This verse states..
Beloved, let us love one another: for love is of God; and every one that loves is born of God, and knows God. – 1 John 4:7 Thoughts on Today’s Verse… This verse teaches us to love one another. When we don’t know how to love our families or friends,.. But the hour comes, and now is, when the true worshippers shall worship the Father in spirit and in truth: for the Father seeks such to worship him. God is a Spirit: and they that worship him must worship him in spirit and in truth. 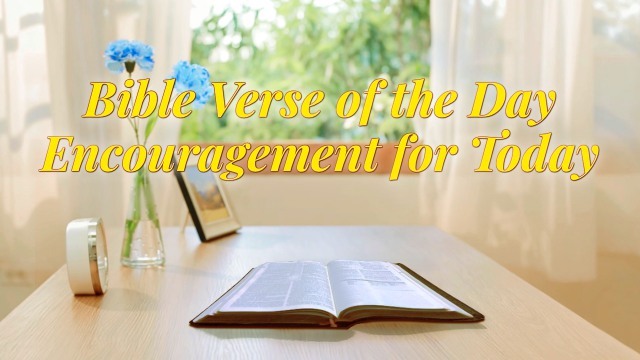 – John 4:23-24 Thoughts on..
Today’s Bible verse is Matthew 17:20: Through Jesus’ words, we understand that if we have faith in God and rely on His power, then nothing shall be impossible for us.